Is the ghost of Edna haunting the WVOH studios in Hazlehurst? Do they sell old women’s perfume by the 55 gallon drum? What do you do when the government can’t catch a chicken? Can the show get worse than last week’s debacle? Does Buck dance? Speaking of Buck, what makes him smile? Who Dat say gonna beat them Saints? 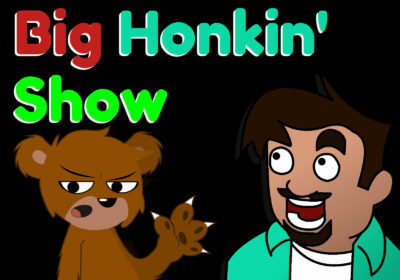 Answers to these and other questions can be found in this episode of the Big Honkin Show as we declare Buck the official co host of the show, do a little bit of Superbowl/Monkey talk, and try to keep things going. Don’t forget to leave reviews on iTunes.